In case you are new here or have not noticed the change in this site, I am converting to Eastern Orthodoxy. It was not the easiest jump but as the first month has passed I can say with confidence that it is awesome! I first made the decision to be confirmed as an Anglican based on a number of things, but what I was most interested in was the fact that I could become closer to God through the very means that Christ had described in the Holy Scriptures. I felt like I would finally be able to worship within the thrust of reverence and rich theological content, to do what Christ said to the woman at the well in John 4, “to worship in spirit and truth.” But as I grew within the Anglican faith I began to realize that worshiping in spirit and truth involves much more than just reverence and rich theology. I found my soul begging for more of something, but was not sure what it was. As I continued to worship and study within the church, the Holy Spirit began to show me just what it was that I was lacking – the very nature of the Church and the way that the Holy Spirit Himself operates. I began to see that the Spirit operates through unity and humility of the very body of Christ, the Church. But I have not seen this within the Anglican faith. As much as I have tried, through various Anglican jurisdictions, I cannot see the unity that Christ speaks of. Christ says in John 17 that He desires that we be unified, and the early fathers say that without unity in the Church the spirit simply cannot operate properly. In the beginning of the Church as we see in the book of Acts and all the way through the first millennium, the Church was one. The churches varied a bit in their culture but they were unified under the bishopric through the Ecumenical Councils. As I embrace the Orthodox faith I can see and feel how God is blessing me through this act of unity, a unity not only of those in the local church now but a unity of the Church, past, present and future. There is something very powerful about worshiping under the same liturgy that some of the most godly priests and bishops in all history worshiped with; direct successors of the Apostles. It really gives new meaning to be a disciple of Christ! The liturgy itself resonates with the early Christian within you, something that I think we all need to get in touch with while living in a very modernistic and secular society. Learning Orthodox theology and worshiping with them allows one to be enraptured with the great saints of the first millennium; the surrounding icons, the incense, the majestic vestments, the people relaxed within the congregation – but not so relaxed as to become irreverent – and the unaccompanied voices of the people of God chanting praise, brings one into the entire body of Christ – past, present and future. Orthodox worship also gives one a sense of belonging throughout the week…like no other manifestation of Christianity can give. We see that in Revelation the Church triumphant is constantly worshiping. Orthodoxy finds a place in this realm. Not only is there always – due to the parishes as well as the monastics – an Orthodox worship going on somewhere within the world, like the Church triumphant, but the worship itself is “open ended.” It does not have an entrance or closing of a precession. You walk into it as if it has always been going on, because it has been. This helps create a spiritual foundation within your soul that “extends” worship to every day past Sunday. Some Protestant churches teach a concept like this but they do not put it into practice within the worship service, the very manifestation (and cause) of our theology. The Orthodox Church puts wheels on the Western term Lex orandi, lex credendi (Latin for the law of prayer is the law of belief). And the fact that the Orthodox can worship so majestically and sacramentally while also under a bishopric that has proven itself up to our day and has not wavered gives much confidence in Christ! Worshiping under a “blameless” bishopric (1 Timothy 3:2) is important not only for worshipful reasons but for evangelistic reasons. My view of evangelism is to teach about how one needs to be a part of the bishopric, and how the bishopric is the very founder and keeper of the Bible (Canon). But this seems difficult to do while in the Anglican faith because the history of the Anglican bishopric leads to the apostasy of the Episcopal Church and Church of England – quite the embarrassment. After a considerable amount of study, conversations with a local Orthodox priest, prayer, and the chance to bring my son Steffen with me to see if this unity is at work within a local Orthodox church, I came to the realization that this is it! Steffen (my son) gave me his approval ;) I know that within the Orthodox Church I can receive spiritual support for my teaching. This means that I will no longer be that guy that just doesn’t seem to fit in, the guy that teaches that “Catholic” stuff. I willingly accept being tagged as an Anglo-catholic within the Anglican Church only because I am unable to say that I am Orthodox (there really is no “Anglo-Orthodox” camp within the Anglican Church). 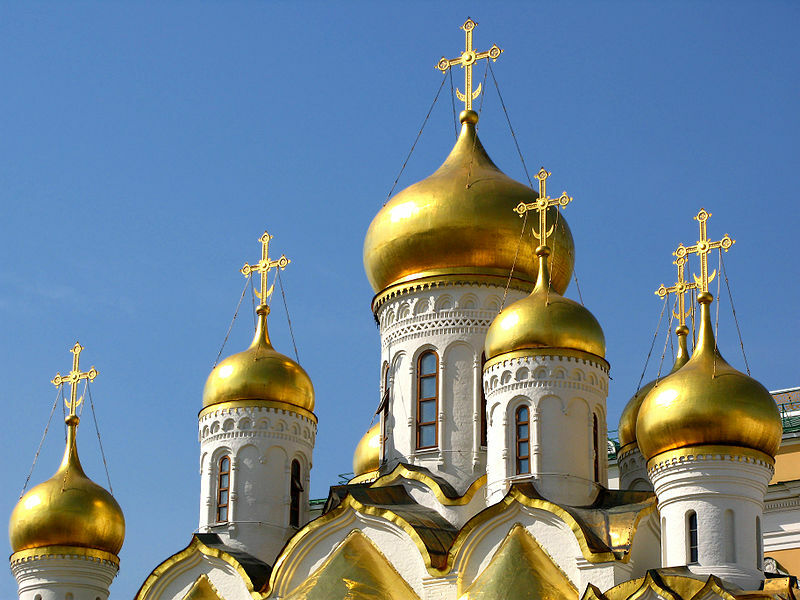 The Eastern Orthodox is the Church that has not wavered since the faith was handed over from the Apostles. Not everyone in the Orthodox Church is perfect but the Orthodox Church is indeed the direct historical successor of what Christ first instituted in Matthew 16, and by the grace of God I have found myself being pulled right in to it. The Eastern Orthodox Church contains what we believe to be the most beautiful worship known to all Christendom. It is indeed different from western worship. It is much more challenging to learn and it certainly does not set a tone of entertainment (although I must admit that the incense and other liturgical acts are quite mesmerizing). The worship is sacred and holy, set apart from modernity! It is not organized like western liturgy, to have that grand entrance and escalating tone (western worship seems to have a schizophrenic tone with the overwhelming theology of ‘depravity/penitential but accompanied with an overly victorious organ or band) with a certain sense of closer at the end. The Orthodox liturgy, again, is “open ended” to demonstrate that our weekly living is to blend right in to its timeless nature. It also contains more prayers and in general much more theology than western liturgy. It is said to take several Sundays for a soul to completely absorb what it both offers and demands. There are many other theological positions that also drew me in to the Orthodox faith, one of which is the Orthodox teaching of atonement. I have wrestled with so many different views of Christ’s atonement over the past ten years and now I feel like I have come home to the truth of the matter. The Orthodox Church teaches an atonement of victory and love, an atonement that actually deals with good and evil, the devil included. You can see more about this theology under the Salvation tab on this site. The Bible! Yes, the Orthodox Church has the complete Bible. That’s right! The Protestant faith has stripped God’s word of many Old Testament books. Take a look at the Sola Scriptura video on the right side of the website, and look at the Bible tab of the site. After I studied the canon in Anglican seminary (funny thing is that I previously studied it in an Evangelical seminary – shows how they hide things from us) I became convinced that the Protestants were lying to me and that a large piece of God’s grace was being withheld from me! There is one more very important theological reason for converting to Orthodoxy that I must mention, and that is the anchor of monasticism that is given to the Orthodox Church. Neither the Anglican nor the Catholic churches have such a strong influence of monasticism. This is a good thing because it models the very law of Christ and prevents the Church from swaying to a rules-based ethic and culture. Some may think that it does just the opposite but it really does not. The monastic way is a way of solitude and peace. It is a calling that is not after seeking crowns here on earth or even in heaven, but it is a calling that gives the church substance and vigor. From the time of Constantine to our modern day, the monks of the church have kept people sober, showing Christians that God does indeed call modern day John the Baptists and Paul the Apostles. God calls these monks to live a life of purity, not for themselves, but for the greater health of the entire church – men and women praying for the church and the world, serving the Church and the world, and sacrificing for the Church and the world. Monasticism is not just a way of life, but it is a very theology – in particular, a theology of humility within the spiritual realm, and a theology of liturgy within the earthly realm. The monastic Christian lives a life of liturgy for the purpose of humility. Upon being cultivated to this humility, the Christian begins to serve his fellow man. When Christ says that in order to enter the Kingdom of heaven, one must become “like a child,” he means that one must be humbled. This, of course, is what the law does, in part; it humbles a man to repentance. But preaching the law in all its worth is simply not enough for the church to embrace. The church must embrace a lifestyle; a calling of humility; a calling that Christ partook of. Christ was not only a “man of sorrows acquainted with grief,” (Isaiah 53:3) but he was also a man that had nowhere to “lay his head” (Luke 9:58). He fellowshipped with the downcast, he owned nothing that we know of and he remained a celibate man all his life. This is a life of utter humility. To model a life after this lifestyle and create a calling/vocation and even a theology after it must certainly be the will of our Lord! I feel that I have come home! I also feel that I can now “come home” to the Lord; not that I want to die, of course, but I now feel like I have left the ranting and raving for a faith of healing and solitude, a faith that prepares me for heaven. I know now that after I die my five children will be as safe and secure as they can possibly be within the One Holy and Apostolic Church. I now feel confident that they can live a life for Christ without struggling with their “denomination” or group. And they can hand that faith down to their children. There will be challenges for them (and I) within the Orthodox faith, I’m sure (we are all sinners) but the challenges will be worth any pain that may seem to be upon us. I hope this article was a blessing to you. It was certainly a blessing to write. It has been a long journey for my family and I within the ministry and we are glad to have made it this far so that our children can still benefit from the conversion and worship with us in Spirit and Truth. Please let me know if you have any questions about Orthodoxy, and if I cannot answer them for you I will find someone that can. Yes, it was. May God grant you and your family many years! Eph. 4:1-6 …walk in a manner worthy of the calling to which you have been called, with all humility and gentleness, with patience, bearing with one another in love, eager to maintain the unity of the Spirit in the bond of peace. There is one body and one Spirit–just as you were called to the one hope that belongs to your call– one Lord, one faith, one baptism, one God and Father of all, who is over all and through all and in all. I too have become very interested in Eastern Orthodoxy, getting ALOT of good info on the internet. I was Baptized as a toddler in a Methodist church but we rarely ever went to church after that because we lived so far out in the country. Then I married at age 26 and converted to Catholicsism because my wife wanted to be married in the church of her religion. Unfortunately for me and everyone else, I didn’t take anything in life very seriously until recently. The marriage ended in divorce due to me thinking with something else other than my brain many, many years ago. I got married five years ago in the Lutheran church and I’m now 50, older and wiser and have a 3 yr old boy and an 18 year old daughter. I agree that “The Eastern Orthodox is the Church that has not wavered since the faith was handed over from the Apostles”. So I would like to “convert” but seriously doubt they would even have me, due to my past “sinful” nature. I suppose I will just have to attend a Lutheran church where my son was Baptized, even though it doesn’t seem “real” to me. Thank you for your post. I came upon it through the Journey to Orthodoxy site. I have wanted to begin catechumen classes at a local Orthodox church for about a year, but my wife wants nothing to do with it. We are both from an evangelical background, though she grew up Roman Catholic. I would cherish your prayers for us and our conversion. I seem to be in a situation similar to Josh. I am a cradle Episcopalian and my wife, raised in the Methodist Church, joined me voluntarily when we got married. I found a wonderful Orthodox parish that I visited numerous times. I invited my wife to join me one Sunday and the discussion that followed…well, let’s just say it didn’t go well. I would likewise appreciate your advice and ask for your prayers as well. Many thanks Maximus. Christos Anesti!! I am just like the gentlemen above and praise God that you have shared this insight! Please keep up the great work! I too have been down the denominational path that ended up in Anglicanism but is now seeking Orthodoxy. Thank you so much for writing this. I am feeling the same way that you were; I feel as if my soul is longing for more; more of what I am not sure, but I feel as if it’s more of a personal commitment to Christ, and more of a commitment to his church. I am looking into Orthodox churches in my area, but it’s a bit overwhelming. Anyway, thank you for writing this; this is exactly what I needed right now. God Bless!